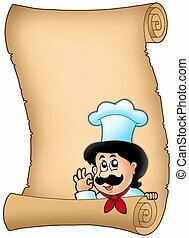 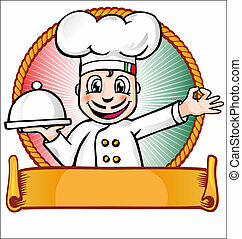 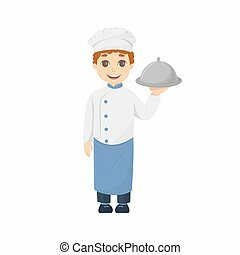 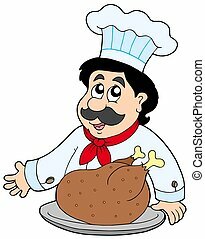 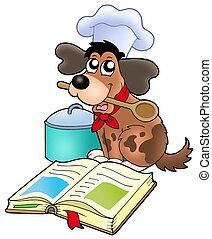 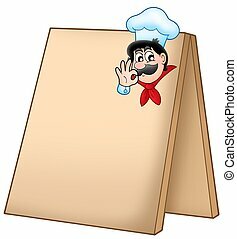 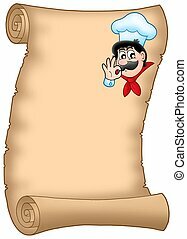 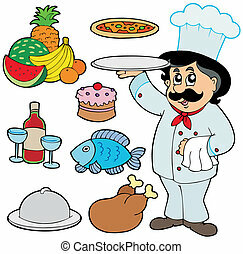 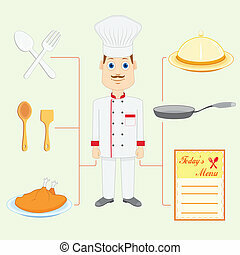 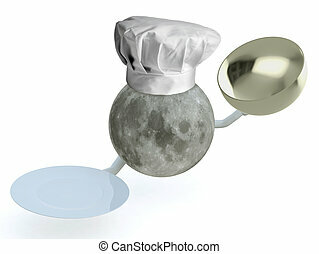 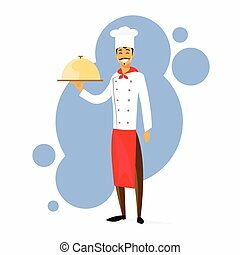 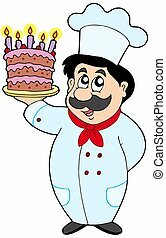 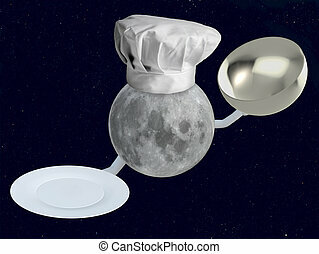 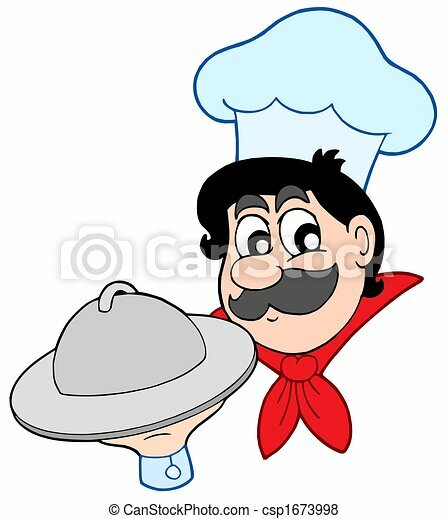 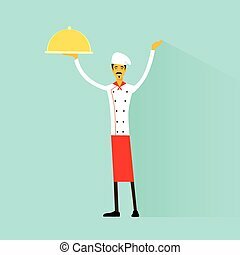 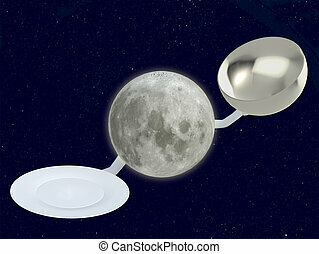 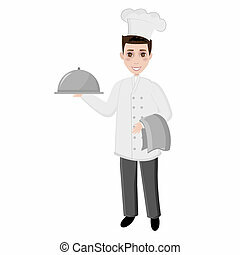 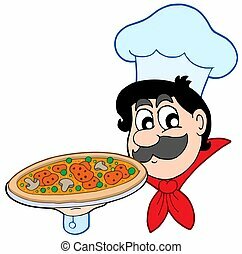 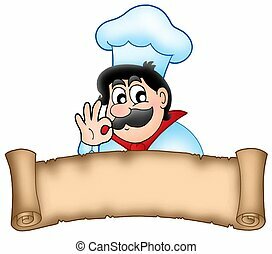 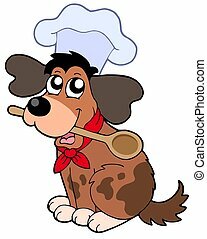 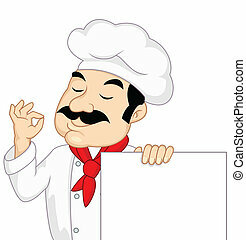 Isolated cartoon chef with dish on white background. 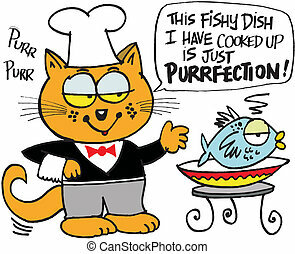 Cartoon of cat chef with fish on dish. 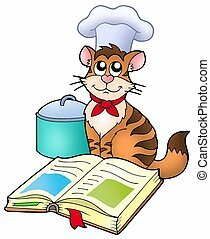 Cartoon of hungry cat chef with fish dish. 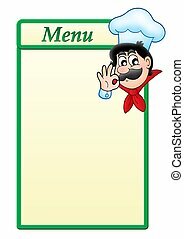 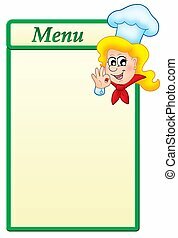 Menu template with cartoon chef woman - color illustration.